It was originally published in Leeds, England in 1949, under the name Cluedo. It was devised by Anthony E. Pratt, a solicitor's clerk from Birmingham. After many years of perfecting the mechanics of the game and filing a provisional specification, Mr. Pratt visited Waddington's Games in Leeds, England to discuss the possibilities for its manufacture. Waddington's personnel played the first game in the office of the Managing Director. They liked what they saw and agreed to produce the game. Parker Brothers obtained the U.S. rights Waddington's in 1949 and has successfully marketed the game ever since. Only three years later, Parker Brothers brought the game to Australian and American mystery lovers. Due to post-war shortages of various materials, there were some delays before the game was finally launched in 1949. 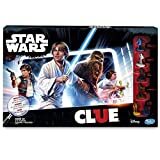 Since its launch the board game Clue has been a super duper hit amongst the fans of board games. Since then it has been adapted into many movies and other plays. 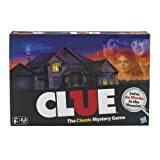 The game is now published by the United States game and toy company Hasbro, which acquired its U.S. publisher Parker Brothers as well as Waddingtons. The game is sold in over 70 countries from Japan, Brazil, Norway, New Zealand to Abu Dhabi. 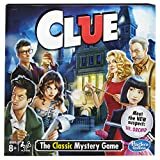 In Europe the game is often called "Cluedo".